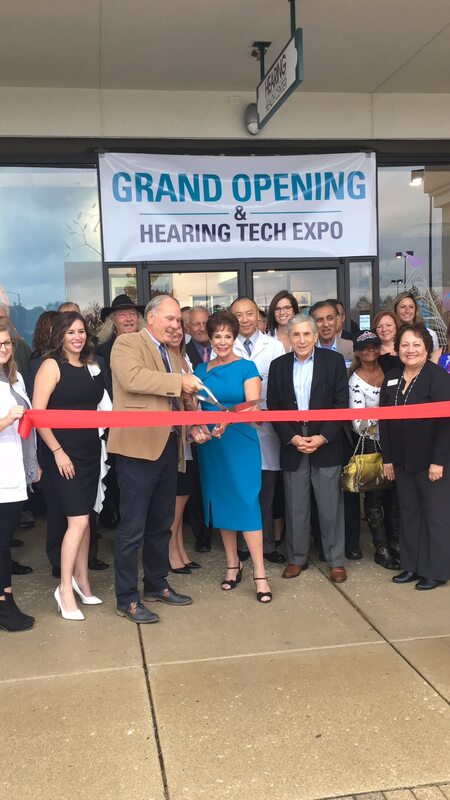 Naperville Mayor Steve Chirico helped christen the new offices for Hearing Health Center in the Fox Run Square shopping center on October 24, but not before receiving a clean bill of hearing. Just prior to his thanking Hearing Health Center’s founder, Dr. Ronna Fisher, for 33 years of support in the Naperville community, Chirico had his own hearing checked by Dr. Ning Jing, a longtime Naperville resident celebrating his 15th year with the practice. A special guest at the evening’s ribbon cutting ceremony, open house and hearing tech expo, Chirico admitted he hadn’t had a hearing checkup since grade school. “I’m surprised that doctors don’t test hearing,” he said. “They take our blood pressure, check our cholesterol, and run a myriad of other tests. Why don’t they check our hearing? They will soon if Fisher has anything to say about it. As one of the nation’s foremost audiologists, Fisher has been advocating for incorporating hearing tests in yearly physicals for years. New research links memory, early dementia and increased falls to hearing loss. When the brain does not receive all of the sound stimulation it should, the ability to process and understand speech deteriorate, and it gets worse the longer treatment is delayed. 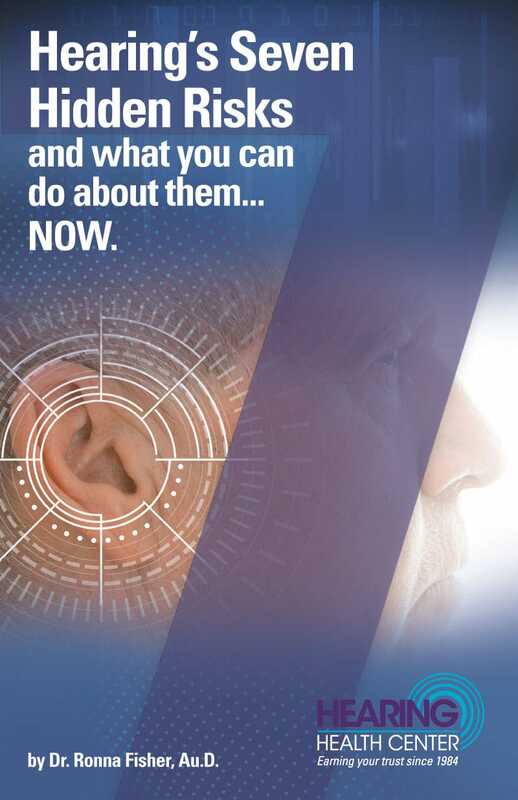 Early detection and using hearing aids, the only treatment for 95% of all hearing loss, is key. Hearing Health Center opened in Edward Hospital 33 years ago. Today there are five additional locations in Chicago, Highland Park, Oak Brook and Resurrection Hospital in Park Ridge. Fisher is also the founder of The Fisher Foundation for Hearing Health Care, a nonprofit that provides hearing aids to her patients, and anyone unable to pay for treatment. Today the focus of the foundation is helping children with brain cancer that have permanent hearing loss from the treatment that saved their lives. “These families are financially drained,” explained Fisher. “Their child is frustrated, angry and starting to lag behind. If they don’t get hearing aids immediately they will be behind the rest of their lives. They have no support and nowhere to turn. Thankfully, our foundation is there to help. Festivities on October 24 included demonstrations, hearing tests, brain processing evaluations, and otoscopy, enabling guests to see inside their ear canals. In addition, leading manufacturers in the hearing aid industry—Starkey, Signia/Siemens, Oticon, Widex, Resound, and Phonak—were all on hand offering demonstrations of their latest hearing aid technology. Hearing loss occurs slowly and may not be a problem all the time. Difficulty understanding words and parts of conversations in noisy environments or from a distance are the first indication of hearing loss, which now affects Americans as early as in their 40’s. That is the time to get it checked. Visit our Facebook page for more photos from our fantastic celebration! 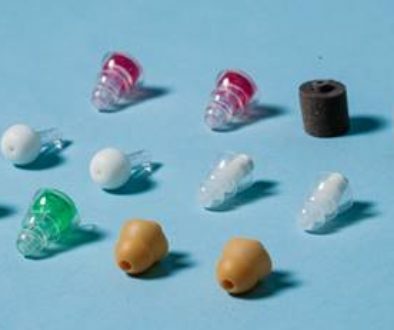 Tribune Magazine Story Published on Hearing Health Center	What is the best way to clean my hearing aids?